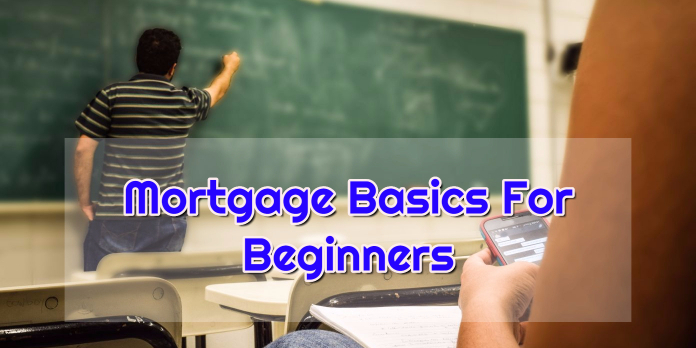 If there is something nearly everyone will come into contact in their lives, it is purchasing a home and a corresponding mortgage which is why you need to know Mortgage Basics For Beginners. This will more than likely be the biggest purchase of your life, so why not learn all you can about it so you can ensure you are knowing exactly what you are getting into and what to look out for. Especially for the first time home buyers, it is important to know what to expect from the home buying process and what you should expect from a mortgage, lender, and loan officer. To begin with, a mortgage is similar to other loans you come into contact with like auto loans as there is a principal amount, a defined interest rate, payment terms, and years to be paid back. Unlike other loans, mortgages differ in the fact that there are a lot of programs out there that offer different terms, down payments, interest rates, etc. There are also programs for veterans of the military through VA Loans, buyers of condominiums, and even loans with no money down. One of the most important lessons in the Mortgage Basics For Beginners plan is knowing just how to qualify for a mortgage as different types of loan programs have different requirements that must be met. When you have decided to purchase a home, it is smart to do your homework on the different loan programs out there and know what their qualifications are and what they need to be. In the landscape of mortgage options available, there are plenty, however, most of the main ones are government backed loans that are either Conventional Loans, FHA Loans, VA Loans, or USDA Loans. With all mortgage programs, the main qualifying factor is your FICO credit score. Amongst all programs, there is a difference between conventional loans and the rest where Conventional Loans want a minimum of a 620 FICO and FHA wants a 580 FICO and can go as low as 500 FICO. Another item that is needed in order to get qualified is your debt to income ratio or the amount of debt you can have on a monthly basis against your gross monthly income. For example, on an FHA Loan with a 620+ FICO credit score, you can have a debt to income ratio of 56.9%. Other programs range from 40%-50% debt to income ratio. – Conventional Loan: 3% down payment for first time home buyers, or 5% under normal circumstances. Now before you get ahead of yourself, you need to know that the VA and USDA Loan programs have specific guidelines for who can apply for these loans and it is not for everyone to take advantage of. For VA Loans, you need to be a veteran of the military or a surviving spouse of a military member. For USDA Loans, these are geared for individuals who live in rural areas where income levels are low. These two loan programs are geared for a specific group of borrowers and not everyone will qualify for them. Another item to think about is putting down too much money. If you don’t plan on staying in a home for a long time or don’t want to tie up your money in your home, then by all means, please put less money down. Let’s take a $200,000 FHA Loan for example and you will see that with 3.5% down your monthly mortgage payment is $978 at 4.5% interest rate. Now this same loan with 20% down has a payment of $811 or $167 less per month. However, you are paying an extra $33,000 to save $167 per month. You might be better off with the higher payment and more money in savings or able to invest. The final piece to the puzzle in the Mortgage Basics For Beginners is trying to determine what your mortgage rate will be on your loan. To find some of the best mortgage rates around, it is normally smart to go with an FHA Loan, but if you qualify for a VA Loan, that program always has the best mortgage rates if you qualify. The problem with Conventional Loans is the less down payment you have and the lower your credit score is, the higher your rate is going to be since there is more risk built into your mortgage rate. For example, the best rates possible for an FHA Loan can be about 25 points or 0.25% lower than the best rate offered by Conventional Loans. If you are still not satisfied with your mortgage rate, you can always purchase discount points which can lower your mortgage rate by 0.25% for every point purchased. The bad thing here is that every point you buy costs 1% of your loan amount. For example, if you have a $200,000 FHA Loan at 4.75% and want it at 4.50%, you will need to pay an additional $2,000. For people who intend on staying in a home for a long time this might be a good option, but for most people, you will not see a return on your investment to buy discount points. On the above example, you will only save about $30 per month by purchasing the points and taking your mortgage rate down. If you are in the market for a new home and are new to the process then you need to work with a professional who works on your schedule and can reduce all the stress involved with your home purchase. This is where Loan Consultants comes into play as we always have our borrower’s best interest in mind and we make ourselves available days, nights, weekends, and holidays to answer any questions you have at any time of the day. We look forward to helping each and every borrower that we come across, so don’t delay and call today at 888-900-1020. We look forward to hearing from you!